… it was bound to happen that someone would eventually bring all the components of the various disciplines under one roof. The release of the Nikon D90 and the Canon EOS 5D Mark II saw the introduction of video capture to digital SLRs. This convergence of media acquisition has a lot of people wondering what the future will hold for these kinds of hybrid photo/video devices. 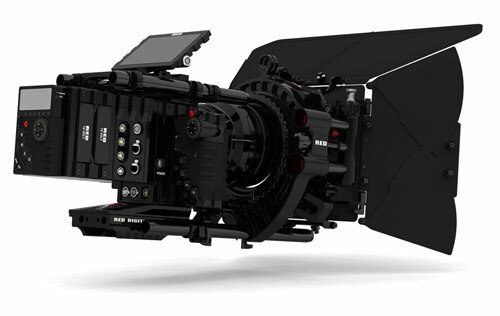 A glimpse into a possible future direction for this new category of devices has been announced by RED Digital Cinema. RED is the brainchild of Oakley Sunglasses founder Jim Jannard, and until this announcement, was primarily considered to be a technology company that was focused on revolutionizing the video and cinema industries with its RED ONE video camera. The RED ONE camera was unique because it could shoot video at a resolution of 4,000 pixels (much higher than HD) in a very compact and modular unit. Now it looks like the company has their eye on the digital photography market with their DSMC system (Digital Still and Motion Cameras) that they’re looking to begin releasing in Spring/Summer of 2009. The whole DSMC system revolves around two new camera systems named Scarlet and Epic. Combined, these two systems have a choice of using one of eight different sensors as the “brain” of each device. Conventional wisdom suggests the larger the sensor, the less noise and shallower depth of field you’re likely to have. The 2/3″ sensor is capable of a pretty average 4.9 megapixels. The S35 sensor can do 13.8 megapixels. The FF35 can do 24 megapixels. The Epic 645 sensor can capture 65 megapixels. And the Epic 617 sensor tops out at 261 megapixels—and no, that’s not a typo! While going through all of the tech specs, I found that the various sensors had a dynamic range of up to 13 or more stops. That’s huge and I think redefines the term high dynamic range (or HDR for short). Right now we can only accomplish HDR by combining multiple exposures, or on the film side, by scanning color negative film (a process I don’t fully understand). These sensors basically capture all of that information right inside the camera from the moment you take a picture or record a piece of footage. In practical terms, it means you’ll never have blown-out highlights again! 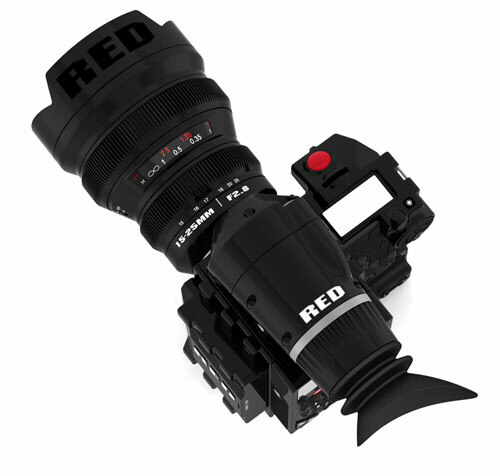 With the modular RED DSMC system, you can go from a digital SLR to a high-end cinema camera. Adobe has announced a long-term partnership with RED Digital Cinema and has released an importer plug-in (currently in beta) bringing native support for RED R3D files to Adobe Premiere Pro CS4, Adobe Encore CS4, and Adobe After Effects CS4. This allows 4K resolution native R3D video files to be dropped straight onto the timeline without transcoding or rewrapping. I would expect (although I don’t have any specific knowledge) that by the time CS5 comes out, all of the other programs (such as Photoshop, Flash, and maybe even Lightroom) will have direct access to the Redcode RAW format that RED uses to capture all of its images for both stills and video. That would certainly make the format easier to work with. With photography, videography, and cinematography being siblings of the same art form, it was bound to happen that someone would eventually bring all the components of the various disciplines under one roof. While we’re not quite there yet, I’m betting that 10 years from now these types of devices will be common in the hands of artists all over the world. Here’s to an exciting and ever-changing future! Mindblowing possibilities, especially the dynamic range figures. Out of reach in financial terms of the majority but then, not so long ago, was the 1.5MP Kodak DCS 200. Very exciting future indeed. Jannard is living proof of originality unfettered, and properly funded. Yes, but a Canon-based 9shooter system (with the Canon 5D Mark ii & HFS200) costs less than 1/10 cost of the RED EPIC and can be hand-held, as it is far lighter and smaller. The 9shooter also carries the advantages of redundancy and both dedicated stabilization for stills and dynamic stabilization for video, and one can use standard Canon lenses. In a showdown, the <$5,000 9shooter system would beat the $58,000+ EPIC RED hands down. And just you wait until the 9shooter with a Canon 5D Mark III & Mark IV! In a showdown, the 9shooter beats the EPIC RED hands down. Canon will eat into Red's market share far faster than Red will eat into Canon's market share. The 5d Mark III & IV, sdhx cards, USB3 hard drives–all these things will erode the Red Market share. Think about it–are google and facebook and amazon built from IBM mainframes? Or from off-the-shelf components designed for the masses? What happened to Sun Microsystems? RED is the Sun Microsystems. Canon is the Microsoft/Dell/Apple in this case. Today's $299 laptop from Fry's electronics beats the $20,000 Sun Ultra Spark Station from ten years ago. Moore's law tends to favor companies reaching up far more than companies reaching down.